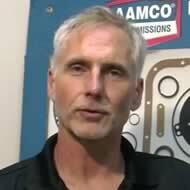 AAMCO South Tampa, FL's transmission fluid and maintenance services help to improve your transmission’s performance. At AAMCO South Tampa, FL, we also offer a low-cost transmission fluid change in addition to our other transmission fluid services. Our expert techs can perform all the maintenance necessary to keep your vehicle safe on the road and keep your car running well for years to come. As with all AAMCO South Tampa, FL transmission maintenance services, our Safeguard® service starts with a complete Transmission Multi-Point Vehicle Courtesy Check to pinpoint any possible issues. In addition to draining the fluids, the expert techs at AAMCO South Tampa, FL will check and exchange essentially all of the aged fluid from the transmission system with our leading-edge and patented Power Purge® equipment.